Shirley George Frazier is a best-selling author, popular speaker on small business and marketing topics, and the world’s authority on the gift basket industry. Shirley George Frazier is recognized as a worldwide authority on small business success. In business since 1990, Shirley is president and director of Sweet Survival LLC, a consulting firm assisting aspiring entrepreneurs to turn their creative passion into profitable businesses. Shirley’s best-selling books include How to Start a Home-Based Gift Basket Business, The Gift Basket Design Book, and Marketing Strategies for the Home-Based Business. As a professional speaker, Shirley travels extensively to deliver keynote presentations and seminars at conferences, provide gift and marketing demonstrations at trade shows, and conduct hands-on workshops at private events. 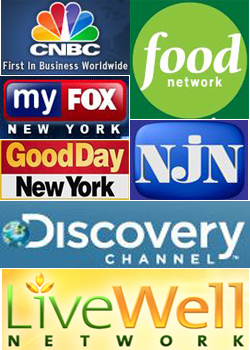 She also dispenses small business advice on CNBC, New York’s Fox Channel 5, Food Network, and Live Well Network. Shirley’s articles and quotes are found in CNN Money, Entrepreneur, New York Newsday, The Record, Black Enterprise, Costco Connection, Gifts & Decorative Accessories, Gift Shop Magazine, Florists’ Review, Gourmet News, Spare Time Magazine, and Opportunities Magazine. When not on stage or working with clients such as Macy’s, Barnes & Noble, and Total Wine, Shirley helps creative people reach their goals through articles, videos, and podcasts available on her website, ShirleySpeaks.com. In business since 1990, Shirley is president and CEO of Sweet Survival LLC. She helps creative people and aspiring business owners to create a great life for themselves and their families by turning their passion into a fun and rewarding pastime or business. Shirley’s books include Marketing Strategies for the Home-Based Business, How to Start a Home-Based Gift Basket Business, and The Gift Basket Design Book as well as several business, marketing, and college success e-books. Her gift basket books are the industry’s best sellers, helping thousands of gift designers to open home-based and retail stores selling gift baskets to individuals, corporations, churches, and associations worldwide. 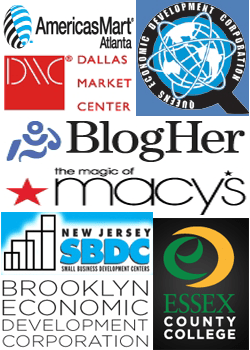 As a professional speaker, Shirley conducts seminars at small business development centers, gift industry trade shows, blog conferences, and consumer events. She provides small business and marketing advice on CNBC, New York’s Fox Channel 5, LiveWell Network, and Food Network; and publishes articles in Gifts & Decorative Accessories, Spare Time Magazine, and Opportunities Magazine. Shirley also writes business articles online for SmallBizTrends.com, CoxBlue.com, and NashvilleWrapsCommunity.com; and is quoted in Associated Press, CNN Money, Black Enterprise, Entrepreneur Magazine, Gift Shop Magazine, The Orange County Register, New York Newsday, Washington Post, and worldwide publications. When Shirley’s not traveling, she consults with small business clients, experiments with food recipes, and plays daily with her twin Yorkshire Terriers, Mae and Pepi. For more information or to invite Shirley George Frazier to your next event, visit her website at ShirleySpeaks.com, contact her at 973-279-2799, or Email Shirley@ShirleySpeaks.com. I own a vast collection of unique and ornate business card holders that either fit in a purse or are stationary atop a desk. I’ve driven across the country twice (so far) from New York to Nevada and back with my Yorkies, Mae and Pepi, as co-pilots.